You might think Web surfers have started to wise up to Internet rip-offs. But you'd be wrong. Here's how scammers are trying to dupe you today. After years of trying to recover from the dot-com hangover, the Internet is booming again. Online retail sales increased by 26 percent in 2004, according to comScore Networks. In September 2004, the number of domain name registrations hit 64.5 million--an all-time high. You know what else is on the rise? Internet crime. Complaints about online fraud nearly doubled from 2003 to 2004, according to a December 2004 report by the FBI and the National White Collar Crime Center. Research firm Gartner estimates that nearly 10 million Americans were hit by online fraudsters last year--largely due to a wave of phishing e-mails seeking to steal users' identities. In fact, phishing attacks seem to be the new, hot scam. Scammers send you an e-mail that tries to lure you to a legitimate-looking Web site where you'll be asked to enter personal information. The thing is, it's all fake; and if you fall for it, someone is ready to take your Social Security Number and start opening credit card accounts. 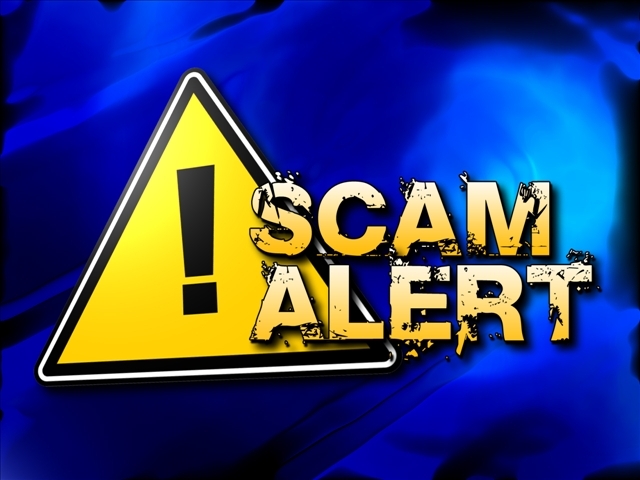 The FBI recently began warning people of scammers posing as tsunami-relief organizations. And late last month, the FBI warned that someone out there was even posing as the FBI itself--sending a fraudulent e-mail with the subject line "FBI Investigation" and trying to lure people into buying products from a separate, fictional scam artist whom the Feds were supposedly on to. Confusing? Sure. But just ask yourself this: When was the last time the FBI sent a polite e-mail when they wanted someone's cooperation in an investigation? Thousands of con artists, grifters, fraudsters, and other denizens of the dark are trolling for victims online. Can you recognize online fraud when you see it? Here's a quick guide to the Top 5 scams and schemes you're most likely to find on the 'Net. The setup: Online auction fraud accounts for three-quarters of all complaints registered with the FBI's Internet Crime Complaint Center (formerly the Internet Fraud Complaint Center). There are many types of eBay chicanery, but the most common one is where you send in your money and get nothing but grief in return. What actually happens: You never get the product promised, or the promises don't match the product. The descriptions may be vague, incomplete, or completely fake. One scammer accepted bids for Louis Vuitton bags that she didn't own, and then scoured the Internet looking for cheap knockoffs that cost less than the winning bid. She managed to collect at least $18,000 from bidders before she got nailed. A buyer thought he'd purchased a portable DVD player for $100, but what he got instead was a Web address for a site where he could buy a player for a $200 discount. The stories are virtually endless. The risk: You get ripped off, losing time and money. If you spill the beans about the scam, the seller may retaliate by posting negative eBay reports about you using phony names. The question you've gotta ask yourself: Who in their right mind would sell a $200 bag for $20? The setup: You receive an e-mail that looks like it came from your bank, warning you about identity theft and asking that you log in and verify your account information. The message says that if you don't take action immediately, your account will be terminated. What actually happens: Even though the e-mail looks like the real deal, complete with authentic logos and working Web links, it's a clever fake. The Web site where you're told to enter your account information is also bogus. In some instances, really smart phishers direct you to the genuine Web site, then pop up a window over the site that captures your personal information. The risk: Your account information will be sold to criminals, who'll use it to ruin your credit and drain your account. According to Gartner, phishing scammers took consumers (and their banks, who had to cover the charges) for $1.2 billion in 2003. The question you've gotta ask yourself: If this matter is so urgent, why isn't my bank calling me instead of sending e-mail? "DEAR SIR/MADAM: I REPRESENT THE RECENTLY DEPOSED MINISTER OF AGRICULTURE FOR NODAMBIZIA, WHO HAS EMBEZZLED 30 MILLION DOLLARS FROM HIS STARVING COUNTRYMEN AND NOW NEEDS TO GET IT OUT OF THE COUNTRY..."
The letter says the scammers are seeking an accomplice who will transfer the funds into their account for a cut of the total--usually around 30 percent. You'll be asked to travel overseas to meet with the scammers and complete the necessary paperwork. But before the transaction can be finalized, you must pay thousands of dollars in "taxes," "attorney costs," "bribes," or other advance fees. The risk: Serious financial loss--or worse. Victims of Nigerian letter fraud lose $3000 on average, according to the FBI. Several victims have been killed or gone missing while chasing a 419 scheme. The question you've gotta ask yourself: Of all the people in the world, why would a corrupt African bureaucrat pick me to be his accomplice? The setup: You answer an online ad looking for a "correspondence manager." An offshore corporation that lacks a U.S. address or bank account needs someone to take goods sent to their address and reship them overseas. You may also be asked to accept wire transfers into your bank account, then transfer the money to your new boss's account. In each case, you collect a percentage of the goods or amount transferred. What actually happens: Products are purchased online using stolen credit cards--often with identities that have been purloined by phishers--and shipped to your address. You then reship them to the thieves, who will fence them overseas. Or you're transferring stolen funds from one account to another to obscure the money trail. The risk: Sure, you can make big bucks for a while. But after a few months, you're going to look inside your bank account and find it cleaned out. Worse, when the feds come looking for the scammers, you're the one they're going to nail. The question you've gotta ask yourself: Why can't these people receive their own darn mail? 5. "Congratulations, You've Won an Xbox (IPod, plasma TV, etc.)" The setup: You get an e-mail telling you that you've won something cool--usually the hot gadget du jour, such as an Xbox or an IPod. All you need to do is visit a Web site and provide your debit card number and PIN to cover "shipping and handling" costs. The risk: Identity theft, as well as lost money if you don't dispute the charges. The question you've gotta ask yourself: When did I enter a contest to win an Xbox (iPod, plasma TV, etc. )?